I went to No.8 back before John Lawson came into the picture. 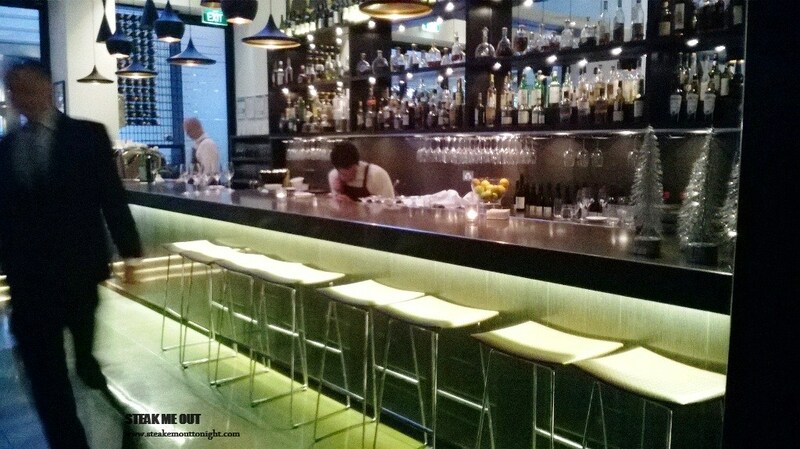 The place hasn’t been overly renovated but it seems different – more mood lighting and the light fixtures seemed more distinctive. It has a very business feel to it, quite refined but not overly personal. 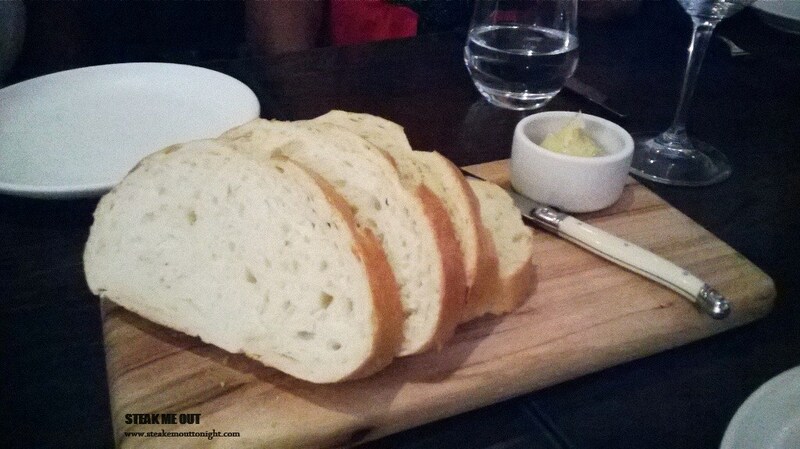 I started with the Foie Gras and chicken liver parfait served with sweet mulberries and toasted sourdough ($24), followed by the 250g grass fed Black Angus Rib eye off the ($44). I ordered it medium rare and grabbed some hand cut chips ($8). 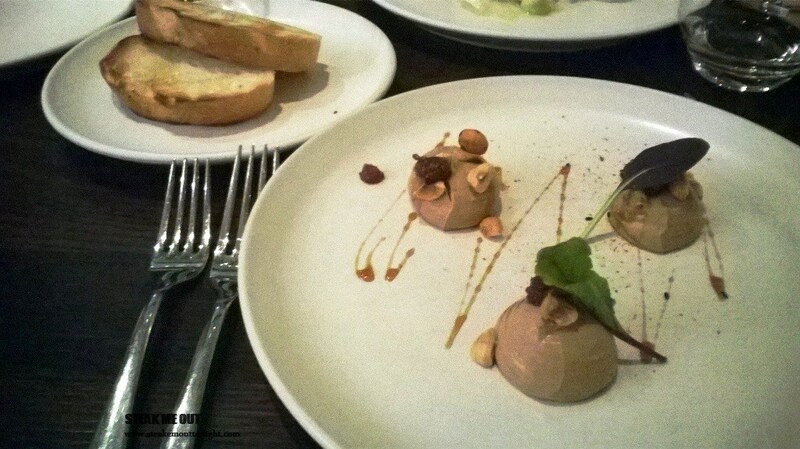 The foie and chicken was fantastically whipped and the addition of hazelnuts nuts was a good touch to the texture. It was great paired with the berries but the serve needed more of them. The dish was spectacular as a whole, but then again I am a sucker for foie parfait. 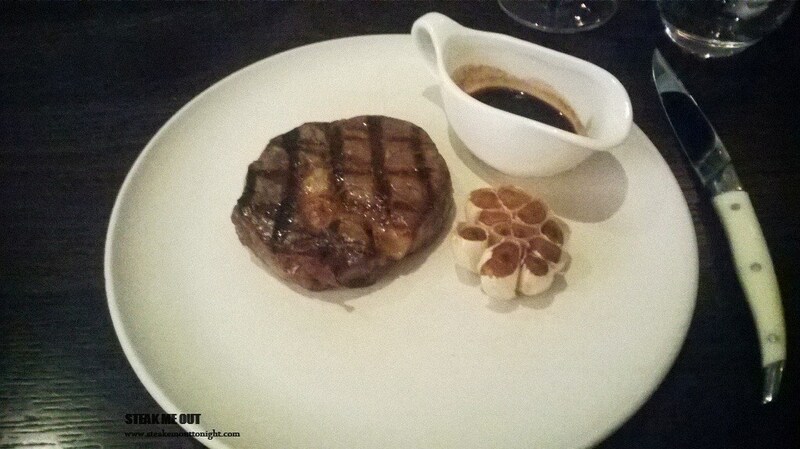 The Scotch fillet looked phenomenal, grill marks, a sweet char smell served with a red wine jus and roasted garlic. It was served on a warm plate which was also a nice touch. The first bite mesmerized me; it was possibly the tenderest steak I’ve ever had. The Jus was thin yet flavourful though possibly a dash too much vinegar but the garlic was a nice finish adding fantastic flavour. The chips however were also served with fried garlic bits which were a bit of an overload in my opinion. It was medium rare but unfortunately was cooked too much to one side leaving it medium. 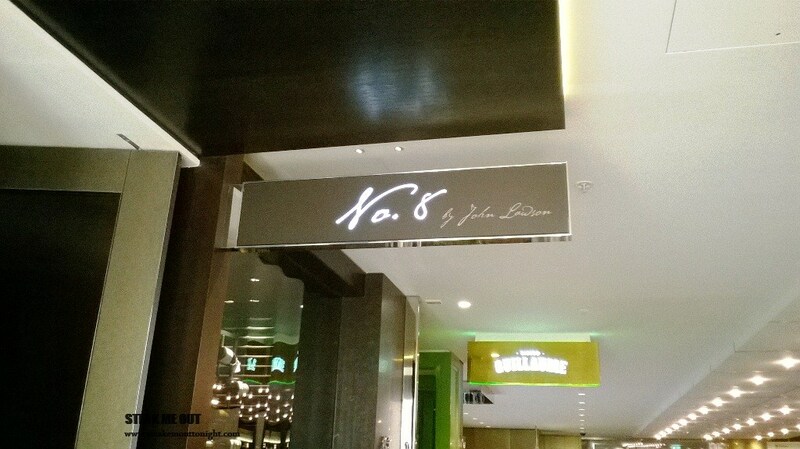 Dining at No. 8 was a great experience and the steak was, while having very minor problems, great with amazing flavour. 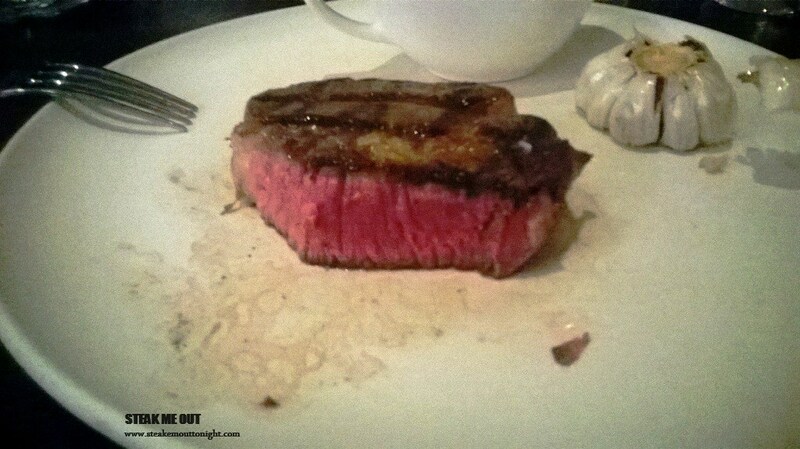 Posted on February 4, 2014 October 13, 2015 by AdrielPosted in Melbourne, SteakTagged Black Angus, Great, Melbourne, Scotch Fillet, Steaks.